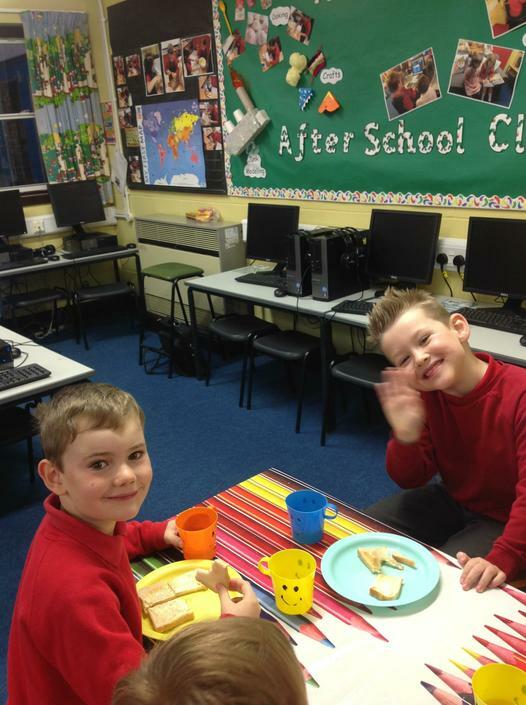 We run a popular and well attended Breakfast and After School Club for children who attend our school and nursery. It is led by qualified and experienced staff from our school. 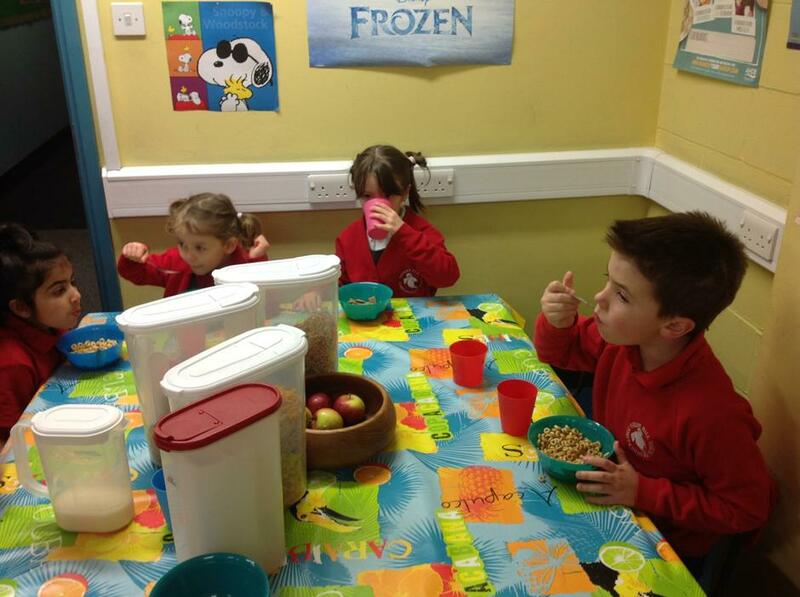 Children attend from 8 a.m. and can choose from a wide variety of healthy breakfast food. 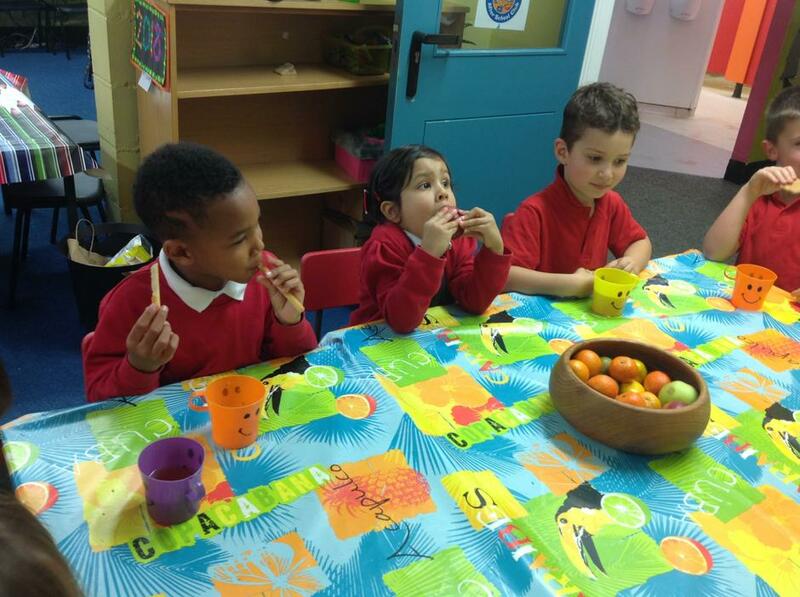 After School Club runs from 3.10 p.m. until 5 p.m. The children are provided with drinks and a healthy snack. Pupils can take part in a range of activities from arts and crafts, construction, games, ICT and outdoor play. We also like to celebrate special times throughout the year with activities linked to these. 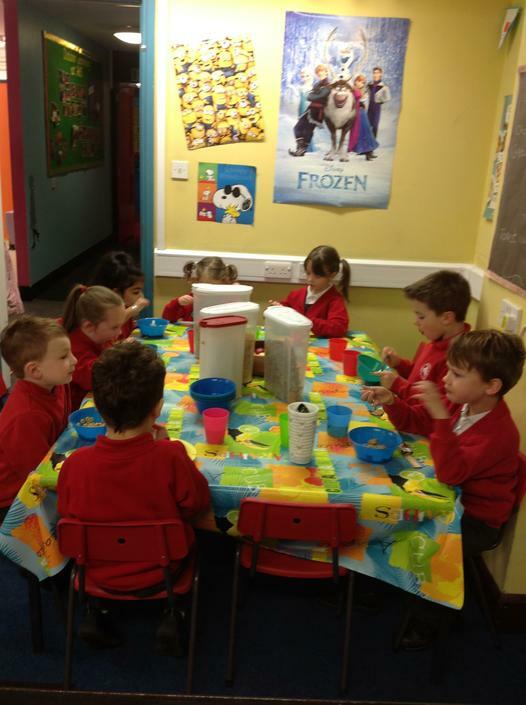 Children attending are encouraged to enjoy meal times together and to be independent, for example, helping to set tables and wash up. 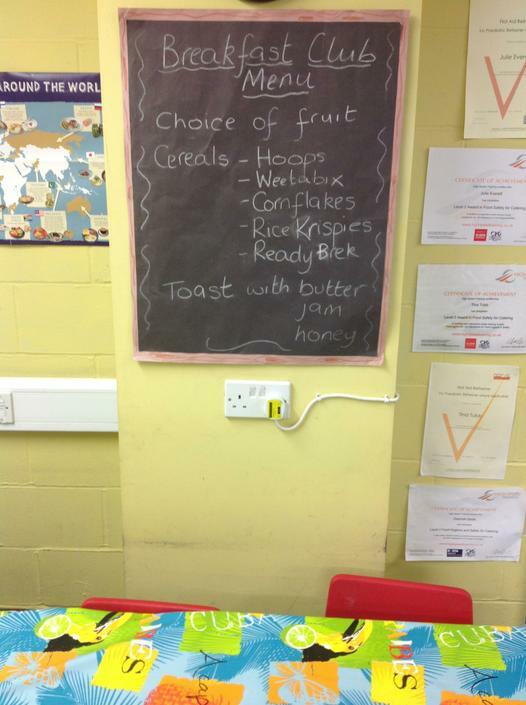 Ghost Hill are proud to provide healthy options for our Breakfast Club. As you can see from our menu, we offer a wide range of breakfast choices, including fruit and cereal which provides energy throughout the day. We do NOT offer chocolate cereal or cereal which is high in sugar and artificials. We are pleased to work in conjunction with the Tesco Food Waste Scheme, helping to teach children the importance of minimisung food waste. For more information about the scheme, please click here.